The future of our world is only as bright as our girls. Right now, more than 98 million adolescent girls worldwide are not in school. That’s why the Global Girls Alliance, a program of the Obama Foundation, is teaming up with GoFundMe to encourage people around the world to take action by helping to break down the barriers that keep girls from fulfilling their potential. Some of these barriers are child marriage or early pregnancy. But often they are attitudes and beliefs—the belief that girls simply aren’t worthy of an education; that women should have no role outside the home; and that their bodies aren’t their own, their minds don’t really matter, and their voices shouldn’t be heard. When we invest in girls’ education, it doesn’t just benefit them—it benefits all of us. An educated girl can lift up her family, her community, and her country. When girls get the opportunities they deserve, amazing things start to happen. Poverty goes down, economies grow, families get stronger, babies are born healthier, and the world, by all accounts, gets better. Working together, we can make a difference for these girls. Your support can help begin to remove some of these obstacles by providing tools, resources, and support to organizations on the ground working to change the lives of girls around the world. Donations made to the Global Girls Alliance Fund will go toward projects ranging from mentoring girls in Uganda to hiring educators in India to covering school-related expenses for girls in Guatemala. The paths and techniques to support these girls may be different, but they all share a common goal: to ensure that adolescent girls are able to achieve an education and fulfill their potential. Stay tuned here for updates on the Global Girls Alliance Fund and how it is making an impact on girls education around the world. 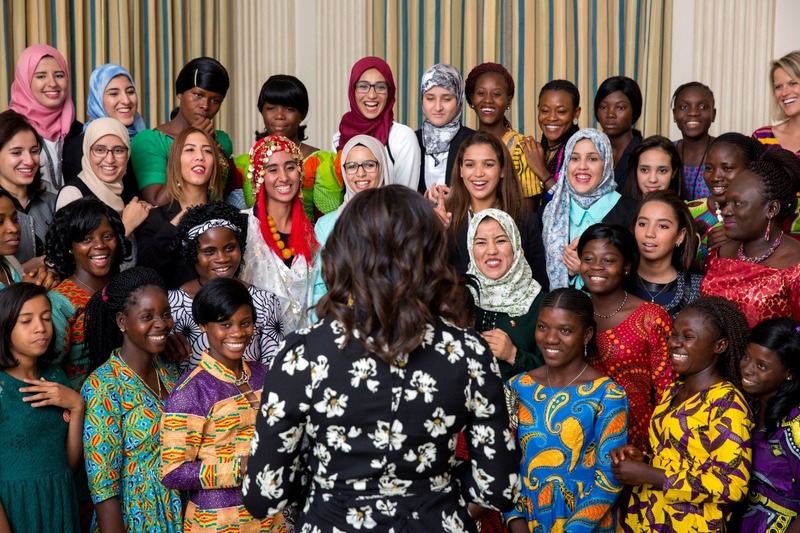 To learn more about the Global Girls Alliance, a program of the Obama Foundation that seeks to empower adolescent girls around the world through education, head to GlobalGirlsAlliance.org. Your donation to benefit this campaign/ project will be allocated to the Global Girls Alliance Field of Interest Fund (“GGA Fund”), a project of GoFundMe.org (a U.S. public charity). The GGA Fund may grant a refund in limited circumstances at its sole and absolute discretion, however, donations are not refundable after the GoFundMe payment platform has transferred your donation to the GGA Fund. Transfers from GoFundMe to GGA Fund typically occur once monthly. All donations are subject to the variance power of GoFundMe.org, as stated in the applicable GoFundMe.org policies . Subject to applicable law, donations may be tax-deductible. Thank you to the P&G Fund with support from Always for matching the first $250,000 in donations to support the Global Girls Alliance Fund. In honor of International Women’s Day, we’re happy to share exciting news: thanks to your support, we’ve met our initial goal and fully funded the first five projects highlighted on the Global Girls Alliance GoFundMe page. Thousands of people from nearly 30 different countries around the world have come together to show their support for girls’ education by directly supporting grassroots organizations. We couldn’t think of a more inspiring accomplishment to celebrate on International Women’s Day, and we thank each and every one of you for being a part of this milestone. We thank you for your continued support of the Global Girls Alliance and grassroots organizations working to support girls in their communities. We are beyond grateful for the outpouring of support the Global Girls Alliance has received. Thank you to all of our donors and all of those who have shared our campaign and our mission so far but our work is not done. This Giving Tuesday please show your commitment to supporting adolescent girls’ education around the world by sharing the campaign link below with your friends, family, and communities. By sharing this campaign, you are increasing awareness and helping to build a community of individuals dedicated to the cause. Don’t forget to remind everyone that Procter and Gamble with support from Always is matching donations to the Global Girls Alliance Fund for a total contribution of $250,000. You can double your impact this Giving Tuesday by donating today or encouraging your network to do to the same!